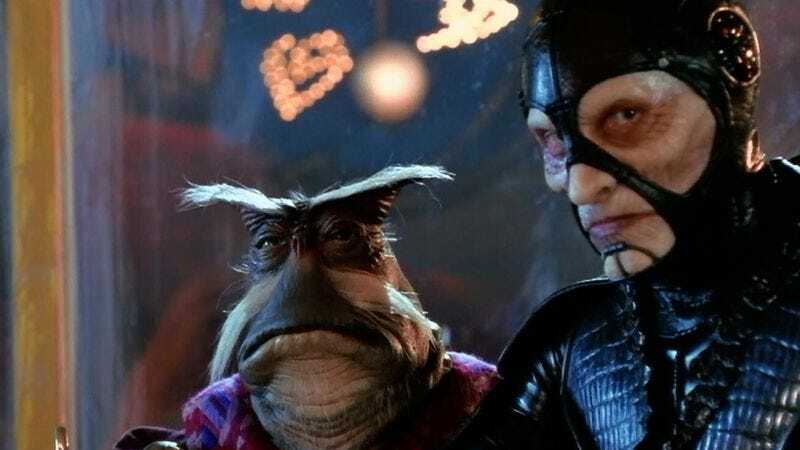 This week marks the 20th anniversary of Farscape, a sci-fi show produced by Hallmark and The Jim Henson Company that is as relatively obscure and as deeply beloved as that pedigree implies, and Amazon has announced that it’s going be celebrating that anniversary by throwing a bone to Farscape’s dedicated fanbase. As announced today in a press release, Amazon will be releasing the entire series—remastered in HD—on Prime tomorrow (March 19) in multiple countries all over the world. The press release also mentions that there will be “multiple ways” for “Scapers” to celebrate the show over the course of the year, with “fan events and various licensing initiatives,” including a vinyl soundtrack release and some other collectibles. For anyone out there who missed Farscape (which would be very understandable), the show centered on an astronaut named John Crichton who falls through a wormhole and gets tossed into a wild space adventure, full of fantastical alien characters (some of whom are Henson Company puppet creations) and a nefarious military force called the Peacekeepers. The show picked up loads of critical acclaim during its run and is generally very well-regarded, so this new streaming deal should give a whole new generation of fans an excuse to be mad at Syfy—though it was still The Sci-Fi Channel at the time—for canceling it prematurely.